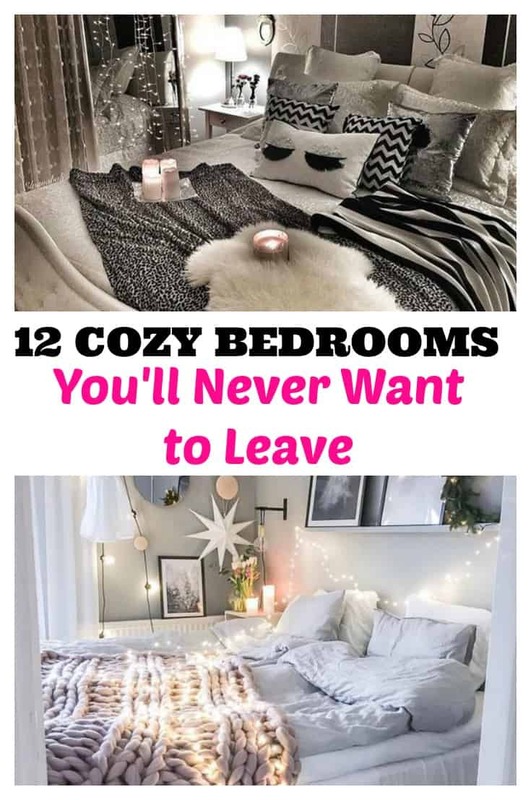 Here’s 12 surefire small bedroom decorating ideas to make your bedroom so cozy you won’t ever want to leave! 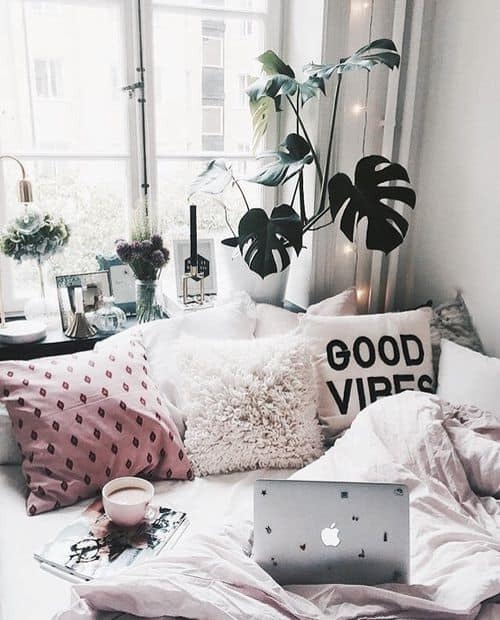 I don’t know about you, but I’m always looking for reasons to stay in bed and work in bed as much as I can. 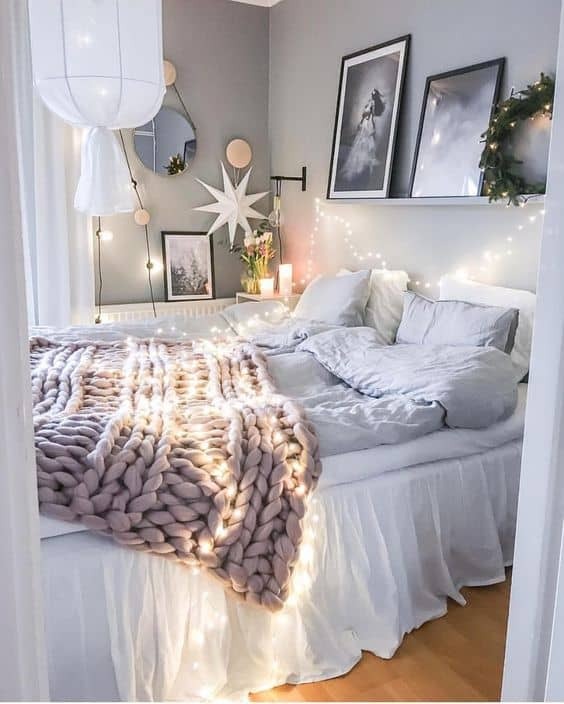 Finding new tips for small bedroom decorating ideas and cozy bedroom decor is a great way to make your space as homey as can be. 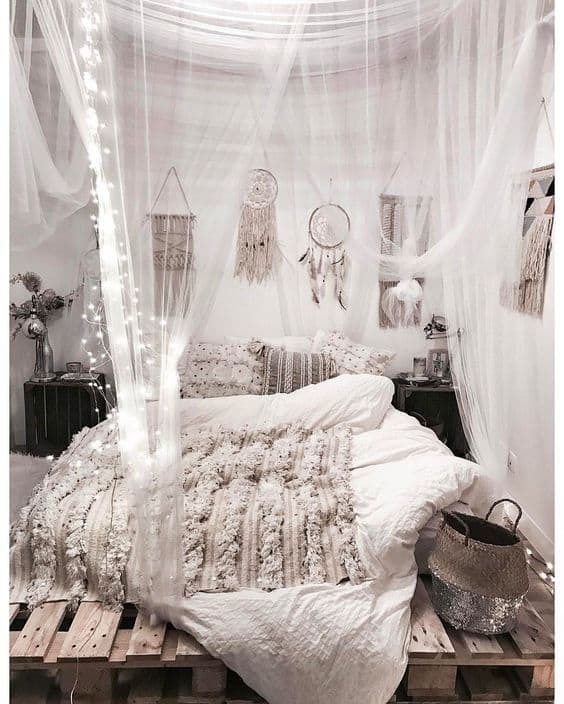 These are “Madi inspired” small bedroom decorating ideas she collected for her new place and she’s going for a glam boho look, regardless of your decorating style, the tips to create coziness are the same! The best part is these are realistic decorating tips for every budget. 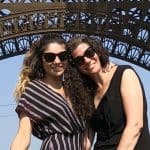 I’m sure you’ll notice these 12 different bedrooms still include many of the same design elements included in this post. 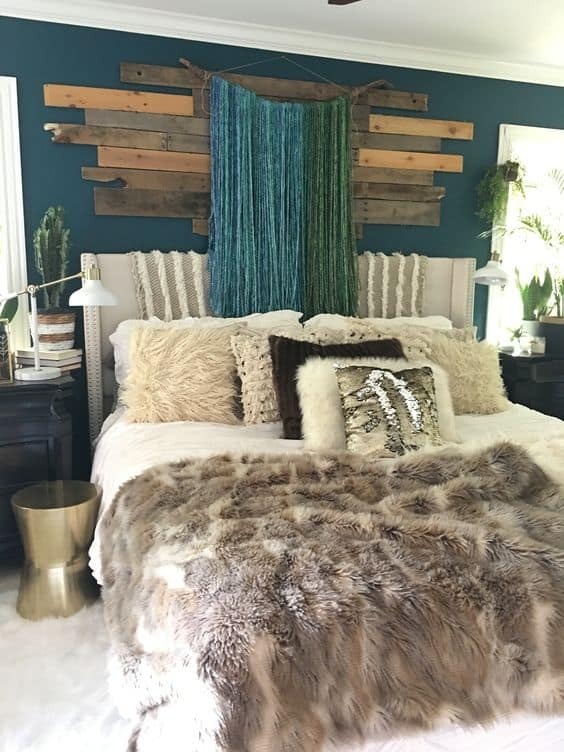 Pinterest makes it so easy to find low-cost DIY ways to recreate many of the beautiful and inexpensive looks in these rooms. Another way to pay for decorations includes repainting second-hand items, making something myself and being patient for high quality items to go on sale. If you’re into crafting and want boho specific decorating ideas, be sure to read our posts 16 DIY Boho Crafts and 17 Boho Inspired Decorations For Your First Home! Sheer fabric is super cheap at the craft store if you prefer to make your own! Can any one honestly have too many throw blankets? I mean really? That answer would be no! You can read about how to make your own chunky knit blanket in my post Make a Chunky Knit Blanket in Under One Hour. We’re currently working on chunky knit blankets and are super excited to find inexpensive yarn options for our readers! Be sure to check it out! We also includes resources on where to buy a chunky knit blanket if you prefer that option! 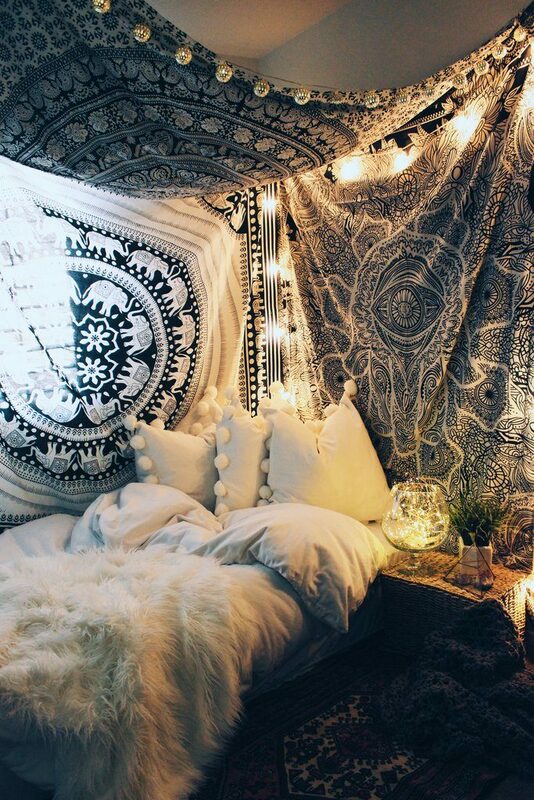 Madi is obsessed with tapestries, they’re inexpensive, make it easy to cover an entire bare wall, and easy to remove if you hang them with removable command hooks. She already owns 3 and has 4 more she wants to buy! 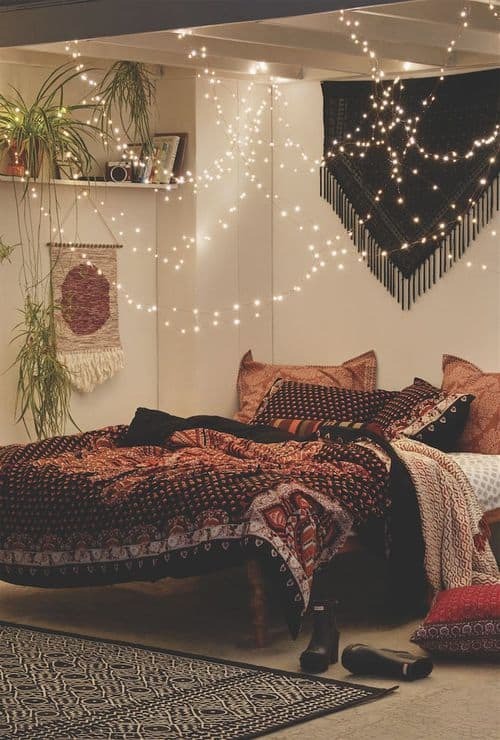 Whether you hang them around the room or draped from the ceiling, Christmas lights add instant coziness on a budget. Madi hung Christmas lights around our living room and family room 2 years ago in December, I’ve never taken them down! She used white strands, which makes it easy to blend with the ceiling, and I turn them on year-round on a cold and cloudy days. Just like blankets, the more the better! Take your pillows and blankets to a whole new level. Can these items honestly get any more cozy than buying them in soft and luxurious faux fur? 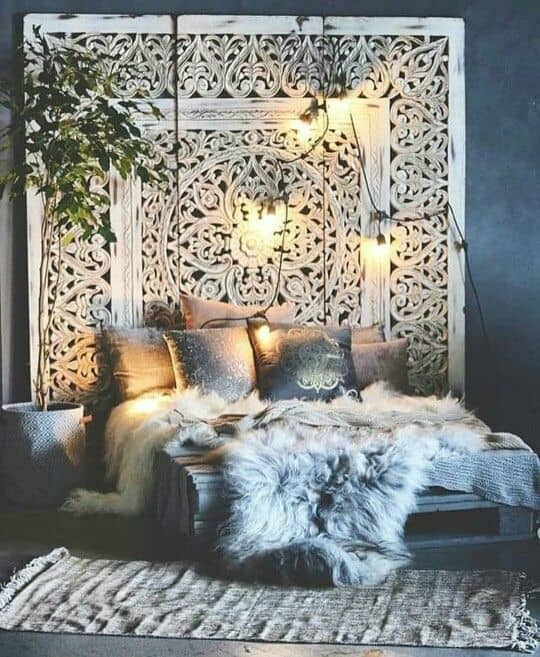 This one is super fancy, but room screens make an interesting headboard that you can easy decorate or repaint if you find one used. Be on the lookout for room screens at garage sales, second-hand stores, or discount stores like Home Goods or TJ Maxx. Pier 1 or World Market carry screens and periodically go on sale. 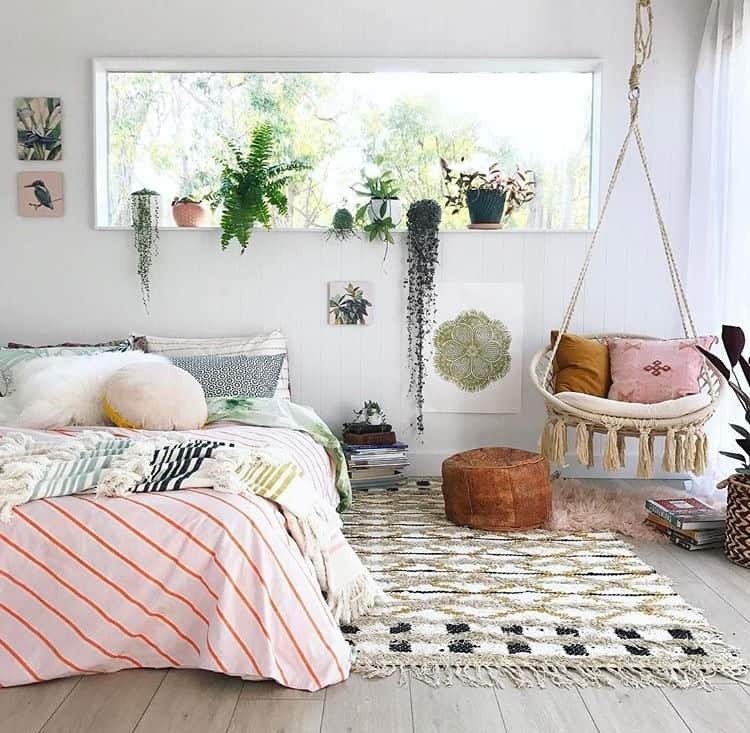 Our Post Beautifying Your Home with Healthy Plants is a must read if you want to add houseplants to your bedroom! 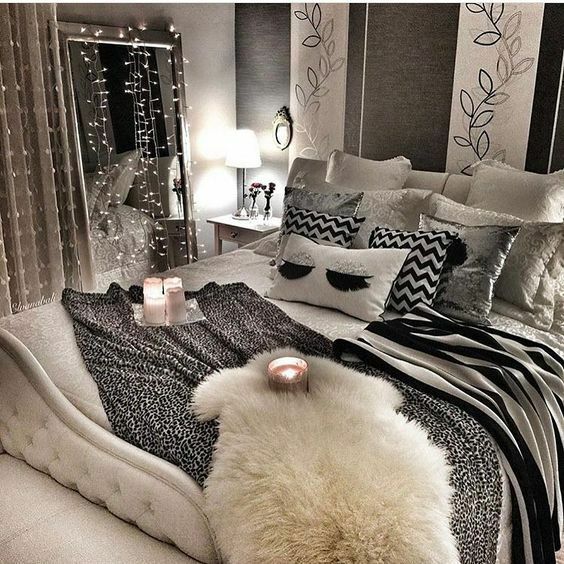 I hope you enjoyed our tips on small bedroom decorating ideas to help make your bedroom the coziest it can be! Happy decorating! Hello! 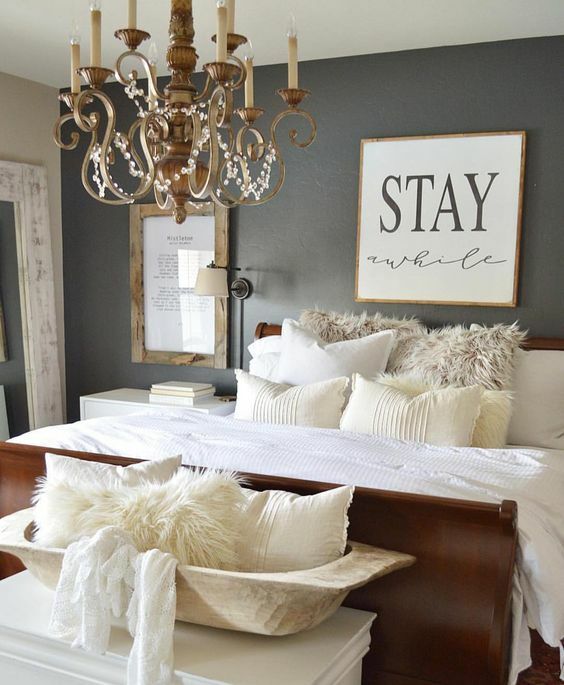 Are you able to find out where the sconces came from in the photo with the “stay awhile” print?? Name and style # would be great too! I cannot find anything similar with regard to size and the lamp shade. Thank you! One more question… Same photo. 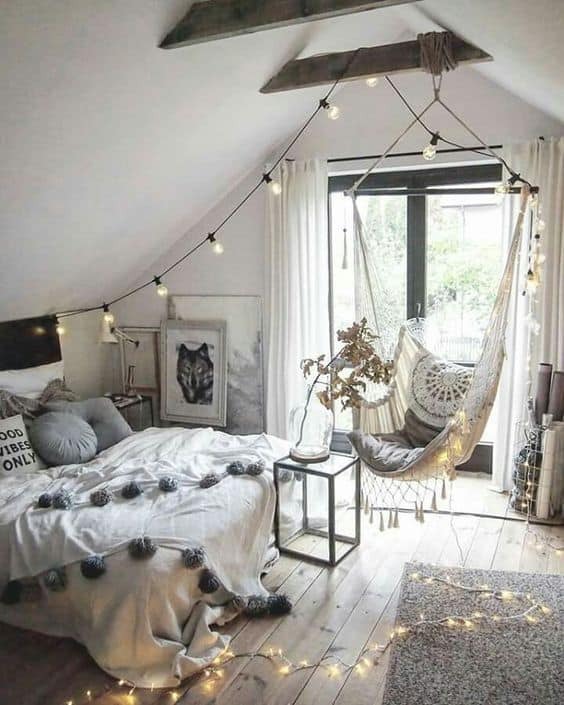 Any idea where the chandelier can be purchased? Thank you!! where did you get the hammock chair? Love it! !